It's Saturday Afternoon and I'm building another purposeful path through my garden. Taj-dog is snuffling along with me, poking his dog-nose in here, under there, testing out the curves. I am a compulsive path edger, and today I need more stones. Taj-dog needs his weekly wash. We both need to visit THE RIVER. 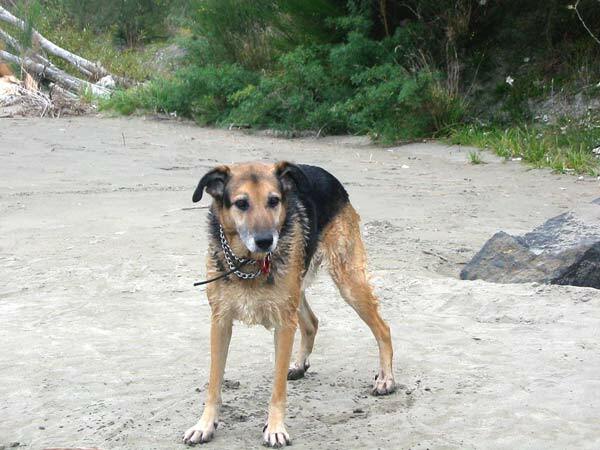 Taj-dog loves the river. It is a dog paradise - spaces to run in, sticks to chase, water to swim in and stinking things to roll in. The river is also a gardener's paradise - river sand for making potting and seed raising mix, and stones for path edges. So off we go with the trailer. Taj-dog sits expectantly in the back seat of the car, concentrating hard. As we turn into the metal road he starts squeaking. He knows where we're going. We arrive, he leaps out and the fun begins. 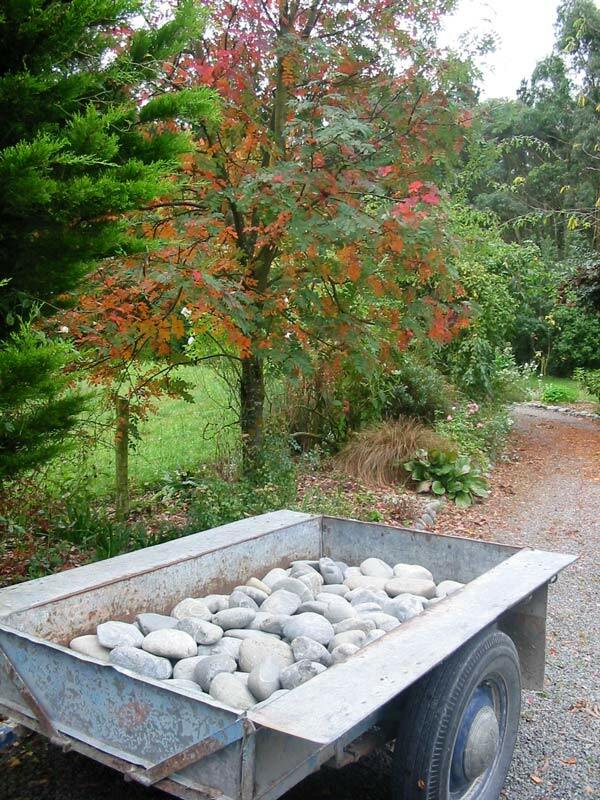 The trailer is slowly filled with stones, and of course they have to be chosen well. Some paths require smaller edge stones, others need fat pyramid shaped stones to act as miniature retaining walls. Oddly coloured stones are always welcome, and this river bed has lots of strangely marbled specimens. Geologists would describe the stones here as mostly greywacke. While gardeners and helpful partners gather, Taj-dog races around following his nose. He sometimes finds ancient bones to crunch, occasionally spies a live rabbit and gives chase hopelessly, and always arrives back at the car a rather smelly dog. 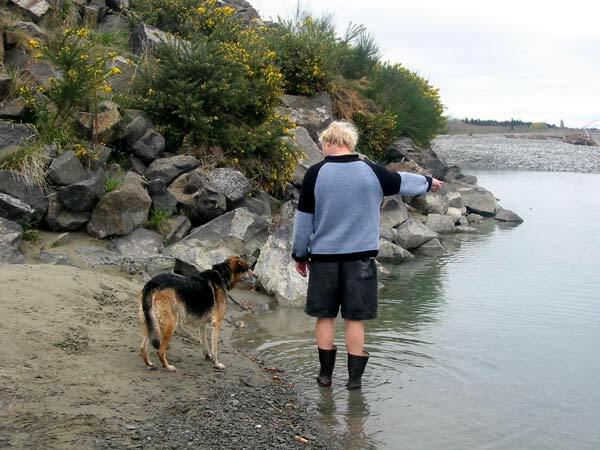 The river is named the Waimakariri, and is a braided river fed from the mountains of the Southern Alps. This means that in winter the water temperature is quite low. 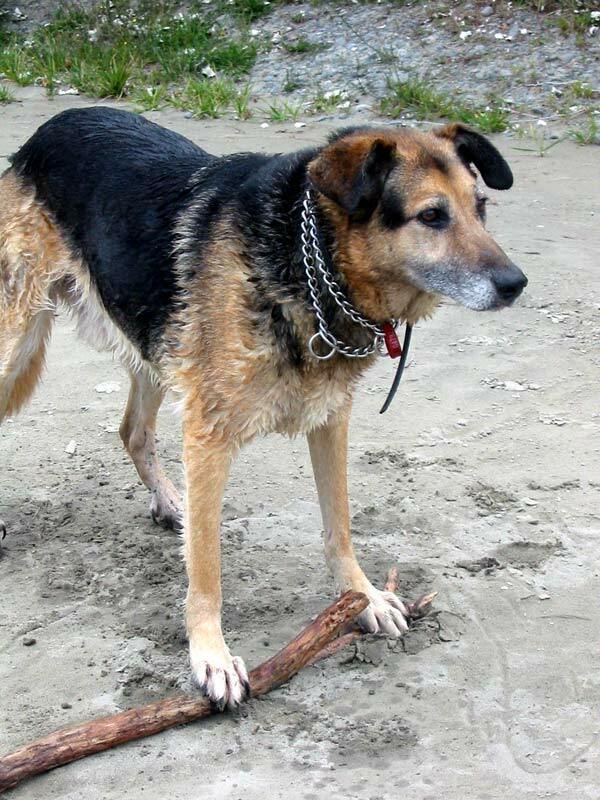 It may be fun for dogs to roll in stinking things, but as for chasing a stick thrown into the icy water, forget it! 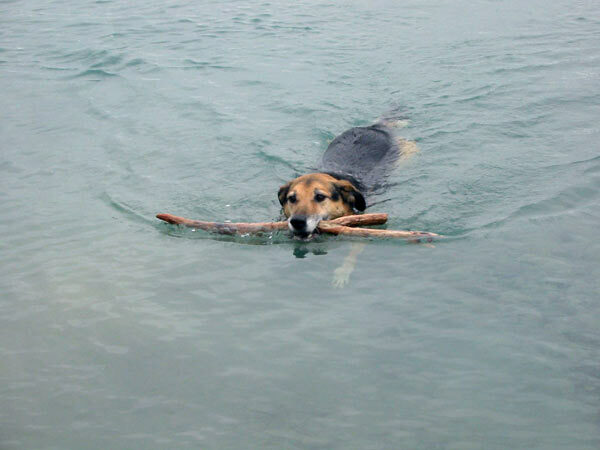 Of course the stick is always thrown into the deep water, requiring dog-paddle. 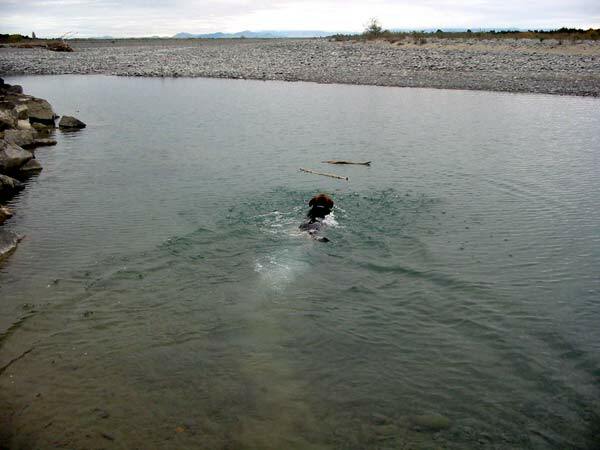 There is much encouraging and tricking to entice the dog to take a winter swim. We walk around, enjoying the ambience, while Taj-dog runs around over the stones to dry off a bit. Then back into the car we leap and it's back down the shingle road to the waiting garden.